The Infinix Note 4 Pro is a much higher version of the Infinix note 4 which was also released July 2017. Although both devices features similar specifications, the note 4 pro packs a larger 4,500 Mah battery and a Stylus pen which is a first for any infinix smart phone. The 5.7-inch device is powered by MediaTek MT6753 octa-core processor with a 3Gb of RAM an a 32GB of internal storage. it also runs on XOS 2.3 which is based on Android 7 Nougat. 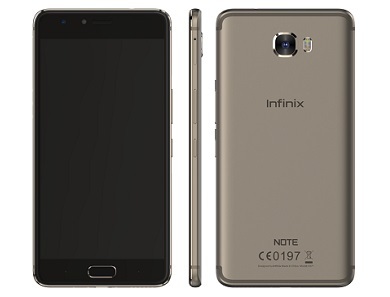 Below is the full specification and price of the infinix Note 4 Pro. Colours: Champagne Gold. Sandstone Black. Prussian Blue. Lilac Gray. Thankѕ for finally ԝriting about >"Infinix Note 4 Pro, Full Specification annd Price in Nigeria, Kenya, Ghana, India" <Loved it!